1. M.B. Singh and B.C. Bajracharya; Differential Calculus, Sukunda Pustak Bhandar, Kathmandu, 1995. 2. G.D. Pant and G.S. Shrestha; Integral Calculus and Differential Equations, Sunita Prakashan, Kathmandu 1994. 3. D.A. Murray; Introductory Course in differential Equations, Oriental Longman. 4. T.M. Apostal; Calculus Vol I & II, Wiley Eastern Ltd, New Delhi, 1986. 5. Das and Mukherjee; Differential Calculus, U.N. Dhar and Sons, Calcutta. 6. Das and Mukherjee; Integral Calculus, U.N. Dhar and Sons, Calucutta. 7. S.M. Maskey; Calculus, Ratna Pustak Bhandar, Kathmandu, 2008. 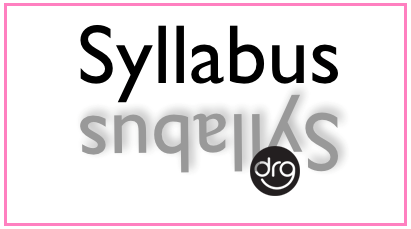 0 Response to "Complete Syllabus Of Calculus | Math 101 | BSc 1st Year [4 Years] Mathematics"